Typo was established in 2009 as a producer and retailer of stationary products for the Australian market. Seeing an opportunity for unique, affordable and exclusive stationary products, parent group, Cotton On, decided to setup Typo’s first store in Victoria. Ever since then, the brand has gone on to become a household name and has built a strong customer base in a short span of years. Typo’s products are known to be quirky. The brand creates stationary products that are highly appealing to its customers, especially the younger demographic. A typical Typo product is recognized by the use of highly creative graphics, incorporation of humorous elements, and one of a kind design. Typo’s objective is to help customers express their individualism and add a little personalization to their work/personal space. 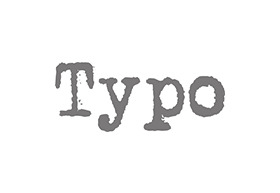 Explore Typo’s range of fun stationary products at the Typo store in Chadstone. The store can be found on the Lower Ground and can be accessed through the car park F.